A state of great comfort or elegance, especially when involving great expense. 1.1 An inessential, desirable item which is expensive or difficult to obtain. 1.2 A pleasure obtained only rarely. When it comes to travel, here are my top 10 luxuries. One of my favourites has been my balcony when I was on a Mediterranean cruise with P&O Cruises, as there was no greater luxury than having expanses of ocean to gaze at whilst enjoying a quiet moment, or even a delicious breakfast. It was so peaceful! It was also such a lovely experience waking up somewhere new every morning and being able to excitedly peer out from the balcony! I was also absolutely smitten with my balcony in Santorini at Pegasus Suites and Spa,which not only had the most spectacular views, it had its own jetted hot tub, which I made full use of every single day! I am a sucker for great uninterrupted views and seeking them out is one of my personal luxuries when travelling. I can stare out at them for ages! I love waking up early and having a walk around the city as it is so much nicer when not crowded with tourists, and there is just something so special about experiencing a place with less distractions around – I feel like I notice so much more of what’s around me, which I may miss when it is bustling with people. I love swimming and when my hotel comes with a pool I am always making use of it! Growing up we had a pool at home, and it is one of those things I so greatly miss and wish I had made more use of when we had it right in our own backyard! Private pools are even more of a luxury for me and my two favourites to date have been our pool at The Laguna Bali, a hotel which I definitely left a piece of my heart at, and Olare Mara Kempinski, where our pool looked out to the African savannah. I love being as close to nature as possible, and I love just spending time listening to the sounds of birds chirping in the trees, animals grazing in the distance and just having general peace and quiet. I adore hotel breakfasts, and where possible always try and enjoy them al fresco! I find this such a big personal luxury when travelling, and seeing what is in the hotel breakfast buffet spread is one of my most exciting moments. Plus it is the only time you can justify eating cake and cheese for breakfast! I was born on an island and being by the sea is something that has always brought me so much comfort and for me a luxury is being out on a catamaran in the middle of the sea, preferably with a rum punch in hand, and just hearing the sound of the ocean. Once in a lifetime, unique, extraordinary and exclusive experiences are what I also consider a luxury, and one of my top ones have been having breakfast on a helipad at the Shangri-La Doha whilst in Doha. Going to Mexico and attending the Latin America’s 50 Best Restaurant Awards in 2016 has been another. Being by the beach is a sure way of ensuring happiness for me. Sandy toes, cool tropical breezes and cooling off in the sea are my favourite things. I love going to the Spa – it forces me to switch my phone off and just enjoy me time. I always feel so incredibly relaxed, full of zen and so much happier after spending time at the Spa. It is always a great way to ensure some self-love and self-care goes into your lifestyle. If my hotel has a Spa I always make time to book myself in for a massage and to make use of the Spa facilities. For this month we’re thinking all things opulent – what are your travel luxuries? The whole shebang, ephemeral moments that you’ll always treasure or perhaps something in-between? Just pop your post up over the first week of the month (the 1st – 7th June 2018), add it to the link up widget found on Adventures of a London Kiwi, SilverSpoon London, Follow Your Sunshineor on the blog of guest host Sarah from More Than Just A Cupcake Lover. There are no rules – all we ask is that you check out some of the other cool bloggers that are involved in that months travel link up; make a few comments here and there and tweet a few of the posts out to your followers that you think they will love. It’s a great way to meet some new travel bloggers and share some blogging joy! 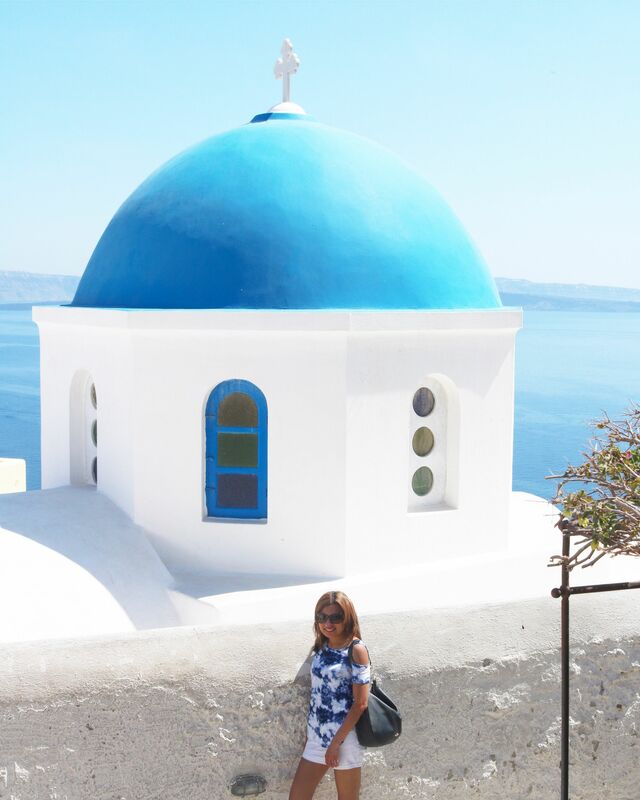 The Travel Link Up is open to all bloggers as long as the post is relevant. Great list Binny. You have been to some lovely places. The spa is my favourite- a bit of pampering always goes a long way right? The Doha shot . A balcony and a view are two on my favourite luxuries too! Totally agree – most of these are essential whether we are staying hotel or self-catering. A room with a view in the middle of nowhere is my favourite! What a fantastic list Binny! I recently have started to seek out balconies and pools too but am a sucker for getting up early and exploring before breakfast and the large tour groups arrive! All of these, please! 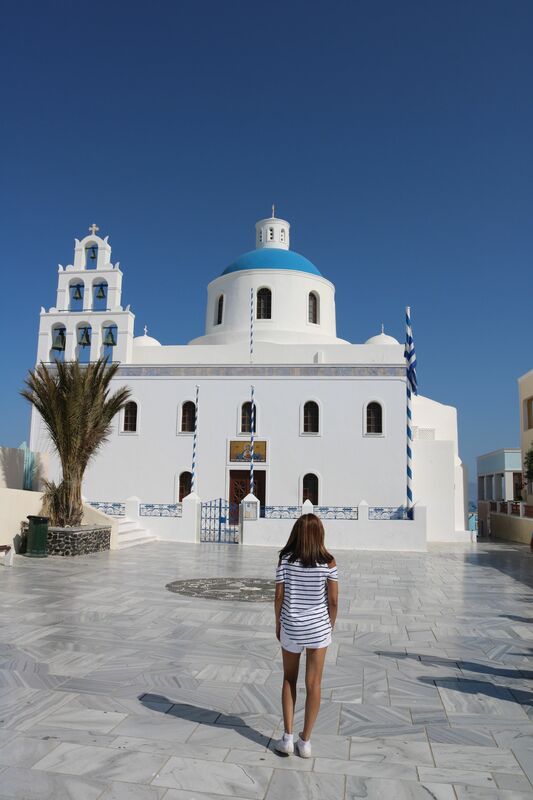 Your Santorini photos make me want to go back again soon! Gorgeous photos and what a great list of experiences, memories and unforgettable moments! What a great list Binny. You’ve made me think of a whole host of different luxuries! I’m a sucker for a view and a balcony too – can’t beat a cocktail on there at sundown for perfect relaxation! Amazing list! I love private pools and oh the spa….has to be the ultimate luxury on a holiday! What a fantastic list! I love every single one of those! I agree with every single one of these! Especially those balconies – you just can’t beat them!